Thank you for all the support you’ve given this charity over the last few years. 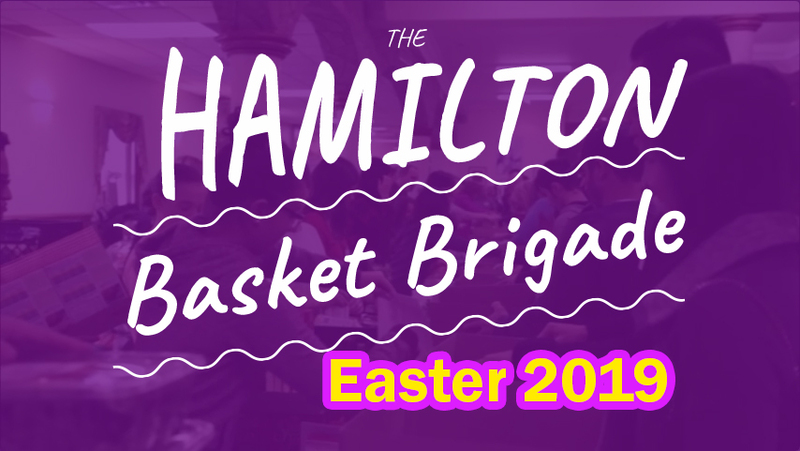 We’ve been able to make a real impact on our community by feeding hundreds of families in need during each Hamilton Basket Brigade event. From the bottom of our hearts we are truly grateful for all your time and dedication! We have exciting news for all of you! We are making updates to how volunteers can participate so that we make an even bigger impact spreading love in our community. • you will be given details on the family in need and the family’s wish list. • food, refreshments and the Easter Bunny, so bring your kids and get ready to have your picture taken! • some of the families in need have been invited as well to pick up gifts, feel free to ask your wish list family to open a present or two… or four! Q. Can my child receive credit for volunteer hours? A. Yes, we have numerous volunteers from the school boards. Bring your forms to be completed at the registration desk.